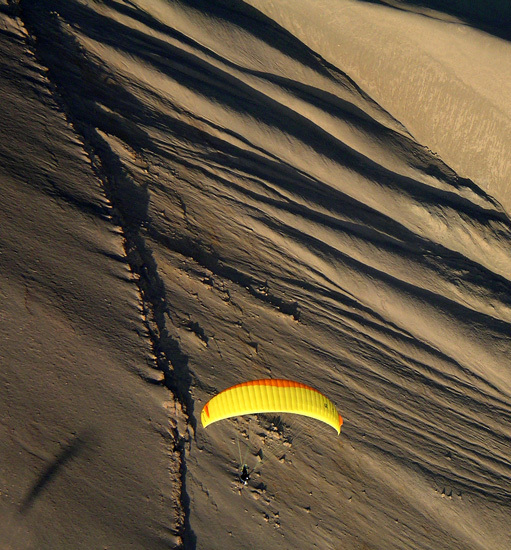 Welcome to paragliding paradise! Here in the driest desert in the world, your flying plans will never be canceled by rain. The port town of Iquique in northern Chile boasts the most consistent flying conditions in the world with an average of only seven non-flyable days per year. A variety of local and XC sites will keep pilots of all levels satisfied. Whatever your experience level, you most likely will beat your personal distance or air time record. According to NOAA (National Oceanic and Atmospheric Administration) year 2018 is likely to be another year of El Niño. 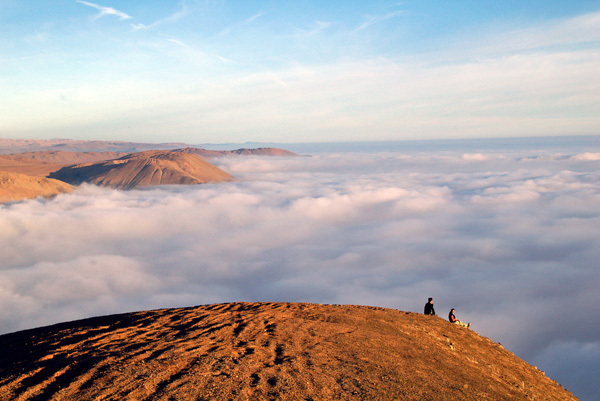 It is a meteorological phenomenon occurring every few years bringing moister than usual air to the Atacama Desert. 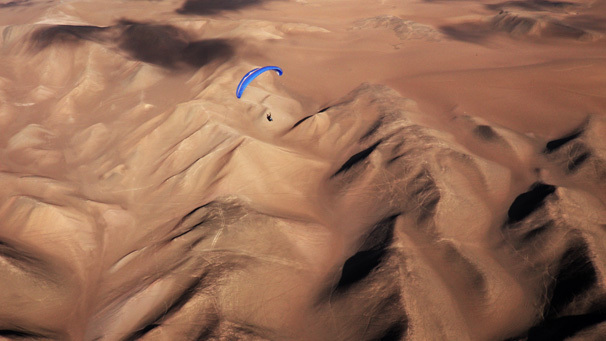 It still does not rain in the hart of the desert in Northern Chile but paragliding conditions get even better than on an average year: thermals are wider, cumulus clouds mark lift zones, and achievable flight distances are bigger. 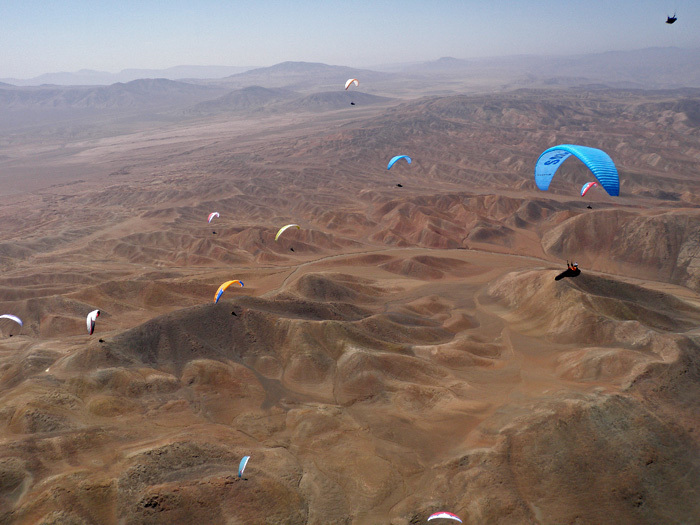 So let's get ready for some superb flying this paragliding season in the Atacama Desert. Last year I set the record flight from San Marcos: 127 miles or 205km. If NOAA forecast is right this year we should fly even farther. 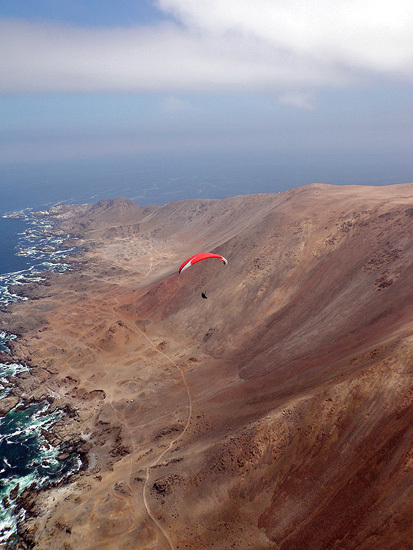 Iquique paragliding photo album (2014 tour). Read the excellent Ned and Chuck's story of our trip. See the photos from our previous years' trips. 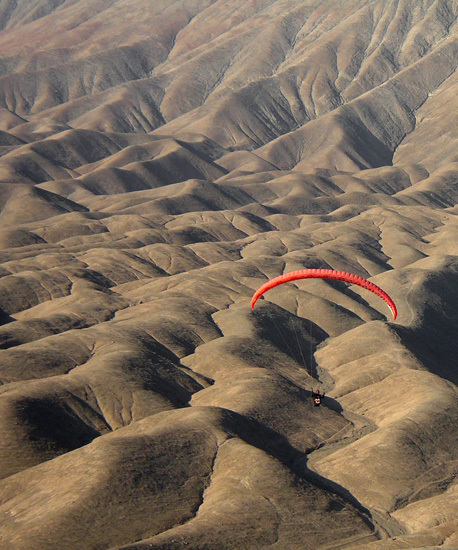 It is the eleventh consecutive year we organize this great paragliding adventure trip. Previous years participants logged countless hours in the air and had the best flights of their lives. In memorable year 2013 every single participant beat his personal distance record! 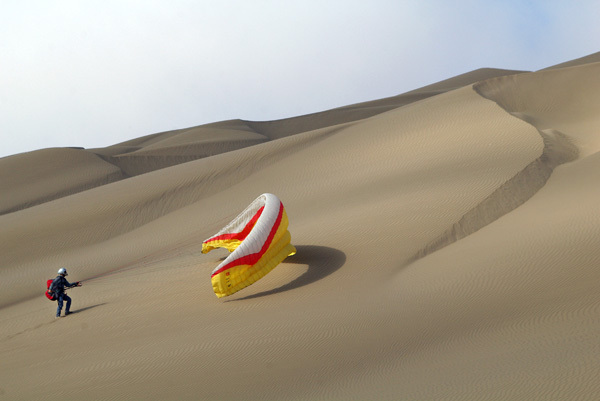 We are coming back to Iquique this year for more - more flying, more XC distance, more remote desert sites, more sun, more Pacific beaches, more great paragliding. Join us and experience our top-notch logistics, stunning flying locations, in-depth local knowledge, and luxury beachfront accommodation. 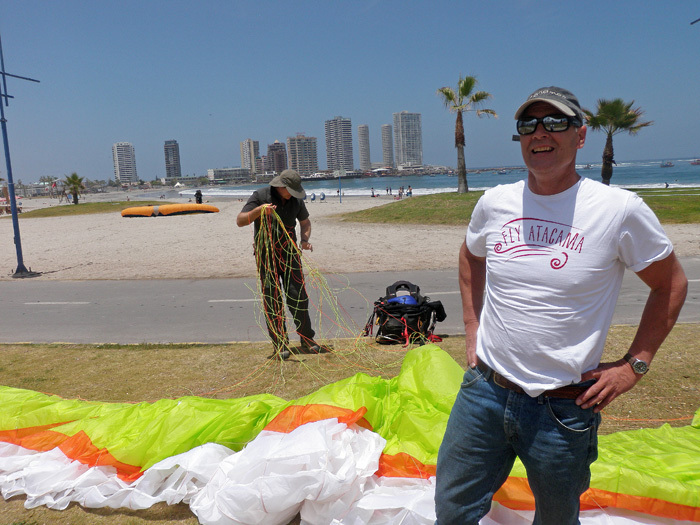 Antofaya Expeditions and a cross country desert specialis Jarek Wieczorek with help of local Iquique guides invite pilots of all levels for a paragliding tour in Iquique, one of South America's premiere flying locations. We fly desert sites other outfitters did not even heard of. We know the desert like nobody else. By joining us you are becoming a part of the great adventure of discovery. 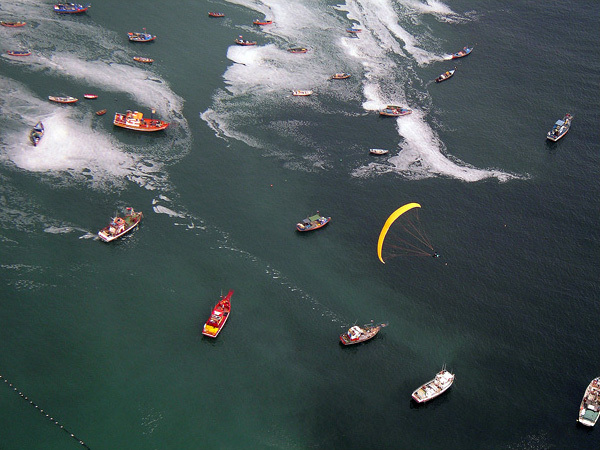 What makes Iquique a paragliding mecca is a unique combination of weather patterns and geography. A steady Pacific breeze cooled by a cold ocean current blows against the coastal mountain range. The coastal mountains span thousands of miles throughout nearly the entire Pacific coast of Chile, reaching its most spectacular shape in the northern part of the country. 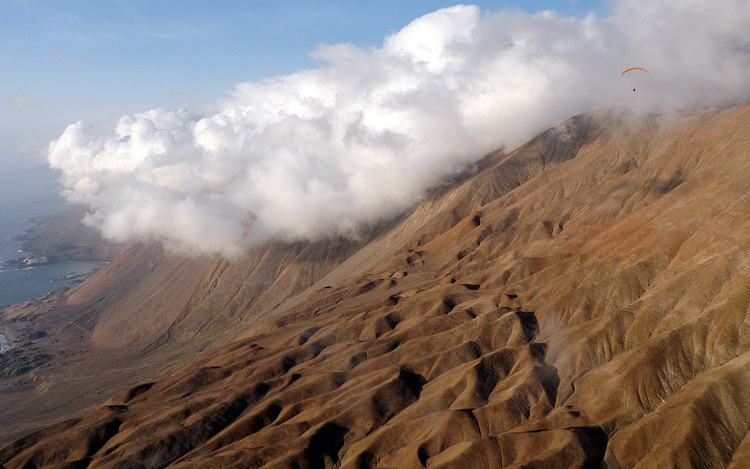 Farther inland, the enormous Andes mountains and volcanoes create a rain shadow effect that is responsible for the existence of the Atacama Desert, the driest desert on Earth. Endless sand and rock-covered mountains of the coastal range plus constant sunshine and a steady breeze create a perfect thermal generator while the closeness of the ocean provides a calming effect on an otherwise very strong desert flying environment. There are no trees or other vegetation, which means you can land nearly anywhere outside of the city. 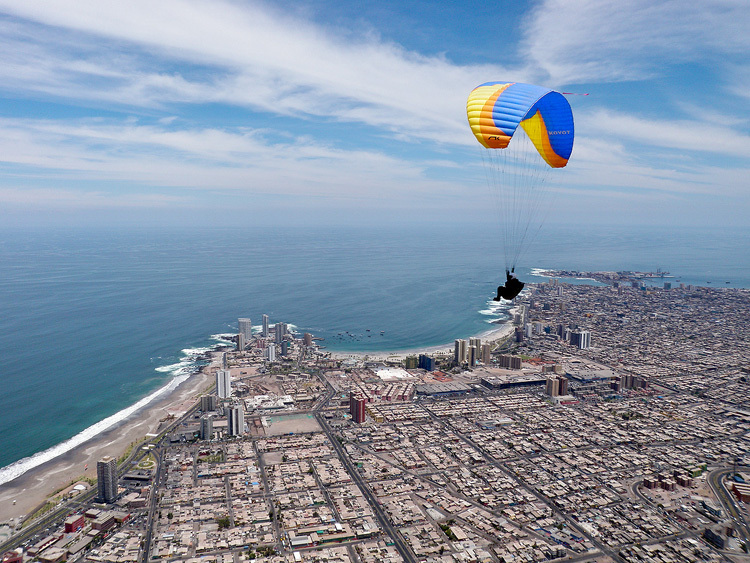 Additionally, Iquique's miles-long beaches provide many safe landing options. It doesn't rain in the Atacama. Flying season in Iquique never ends. The best time for long cross country flights is during austral spring, which is October to December. With a large selection of flying sites around Iquique we choose the day's flying locations depending on pilots' skills and wishes. It could be a long demanding XC from Chipana or a relaxing sunset glass-off at Tiliviche. 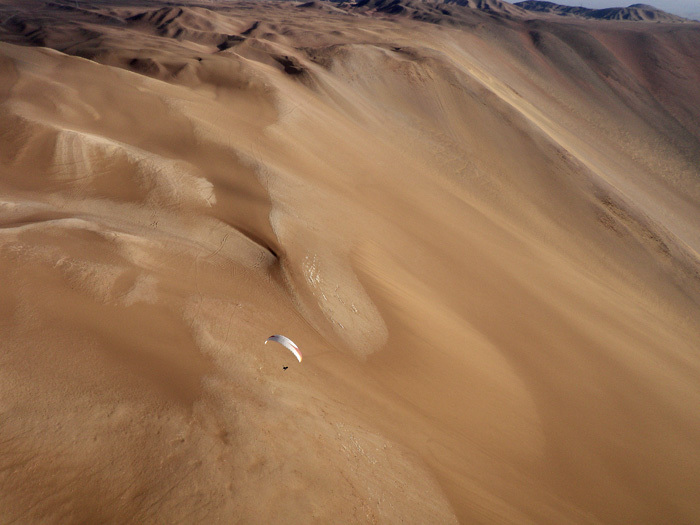 We are the only paragliding outfitters who take participants to spectacular desert XC flying sites like Level 2 or sites north of Iquique including Tiliviche, Junin, and Caleta Colorada. All of them were pioneered and opened to general publlic by us. A world-famous desert flying site where the air is so buoyant that you launch just by kiting a few steps up from the landing zone. The backdrop is a massive 3,000-ft. high sand-covered slope offering an endless paragliding playground in a stunning sand and rock enviroment. Palo Buque is a great place to practice kiting skills. You can topland, skim the sand, do touch-and-goes on the dunes, and watch a perfect sunset each day. 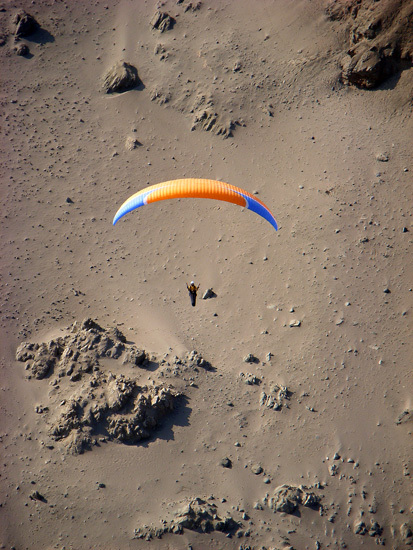 Flying in Palo Buque is so special that pilots from all over the world flock to northern Chile to fly this site. This is a brand new XC site we pioneered and opened in October 2011. It is located at the highest sea cliffs in the world plunging down vertically 5,300ft! 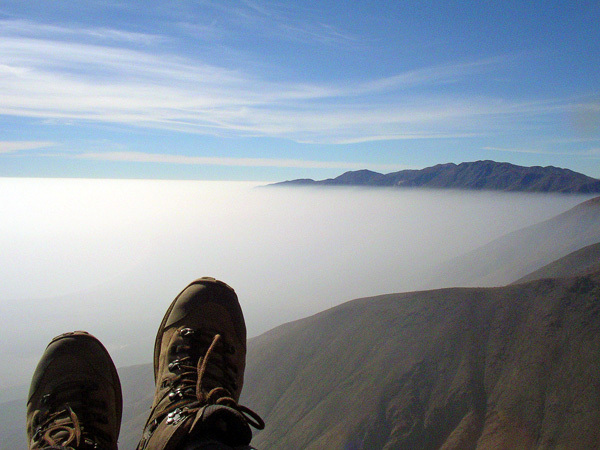 You launch well above the clouds and the permanent Atacama inversion layer. On the very first flight from this takeoff I flew 120 miles. Be ready for serious XC distance. We are the only guides who know the place and take pilots to this spectacular desert jewel. A beautiful canyon with steep walls reaching 3,000ft and opening onto a perfect Pacific beach has proven to be the most picturesque flying location in Northern Chile. Frequent ideal sunset glass-off conditions make it a great spot for an after-flying BBQ and deserted beach camping. 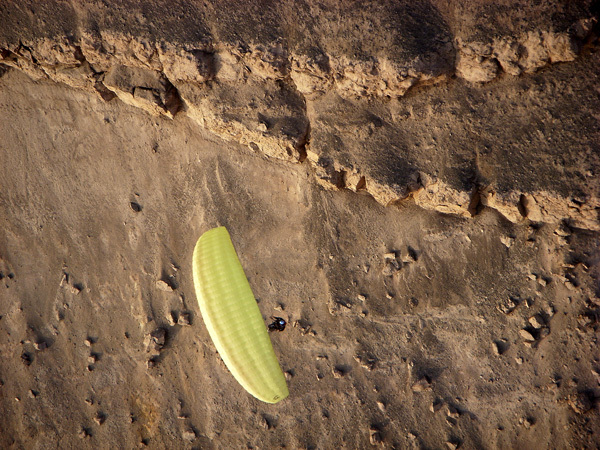 High cliffs near the old ghost port of Junin provide great costal flying. 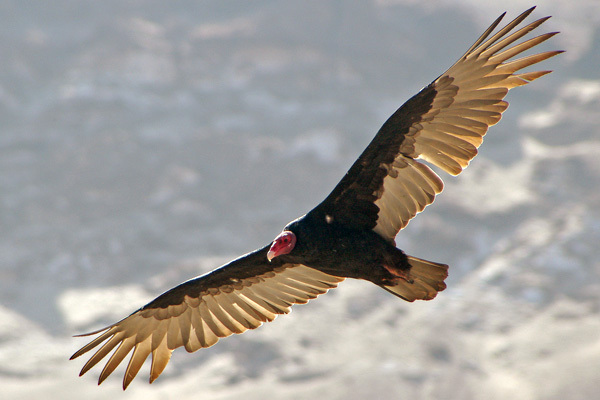 More experienced pilots may also try inland flying from there heading toward the plateau of Questa Arenal chasing turkey vultures which are common there and mark blue desert thermals. 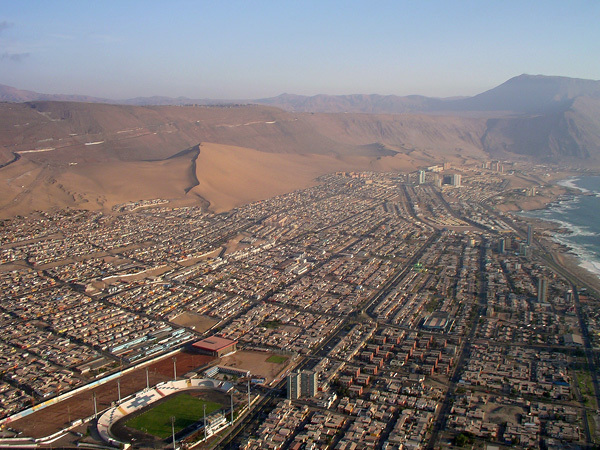 The community of Alto Hospicio on the high cliffs of the coastal range behind the city of Iquique hosts a launch site easily reached by a paved road. 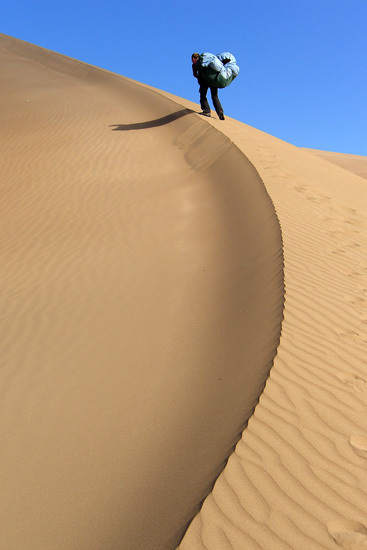 The huge dunes of Cerro Dragon below provide lots of safe landing space. Better yet it is to fly north along the ridge, gain altitude and glide right above the city center to land on one of the Pacific beaches. Cross country options from this launch include flying north beyond the end of the town where the coastal ridge meets the ocean or flying south toward the Palo Buque site and beyond for an out-and-return of up to 30 miles. 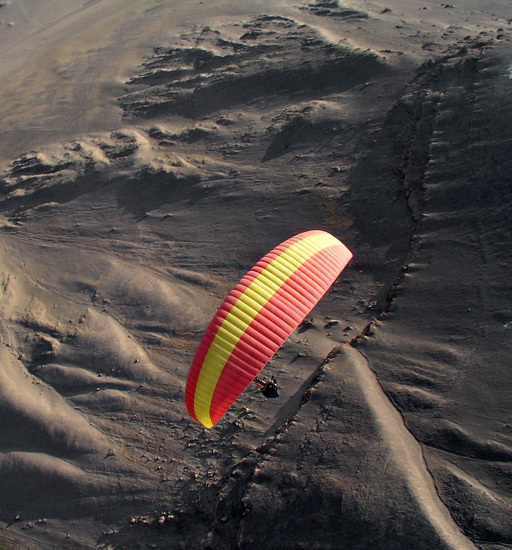 A new flying site called Caleta Colorada, located about 20 miles north of Iquique offers a real desert adventure—no roads, no people, only the resident turkey vultures and you flying enormous 2,000-ft. high ocean cliffs above endless deserted beaches. 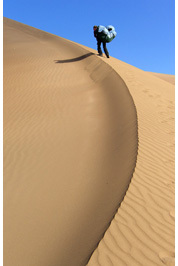 Other adventurous exploration sites include Cmanchaca and Barefoot Dunes which provide access to inland sand covered mountain ranges. A new ideal XC site. Pioneered and developed by Antofaya Expedition's Jarek Wieczorek in 2010. 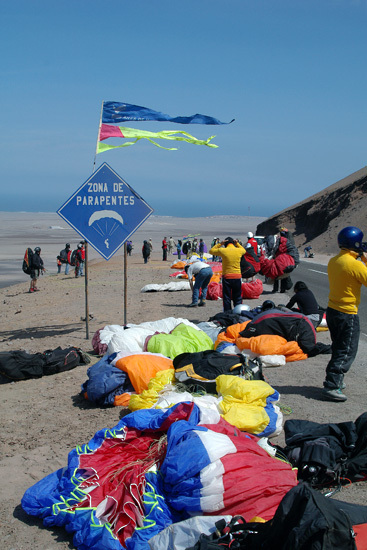 It became an instant paragliding hit to the point that Iquique Open 2010 and 2011 international competitions were run out of this site. The drive to the takeoff leads trough the hart of the desert. The takeoff itself is ample and high with views over a distant deserted beach. Proximity to Rio Seco allows flying this transition early without late afternoon strong winds. 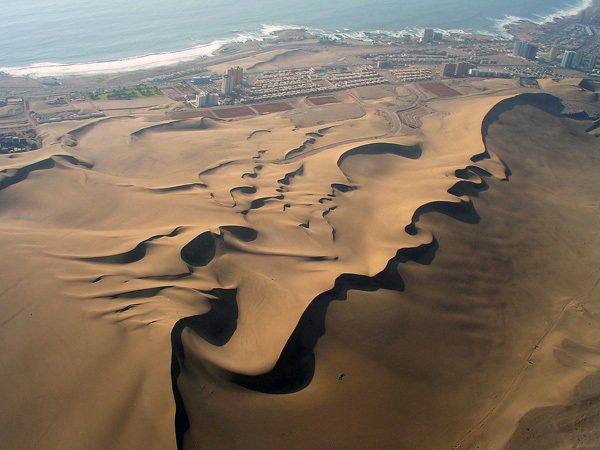 What follows is 60 miles of a beautiful flight over the desert via sandy promontory of Pabellon de Pica and dunes of Punta Patache. Another cross country site offering breath-taking desert views. 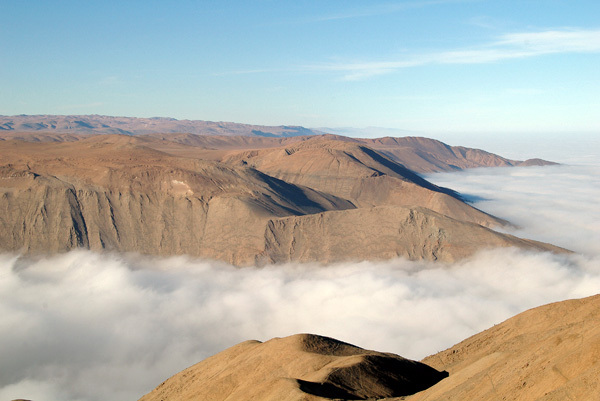 The site is located about 70 miles south of Iquique. 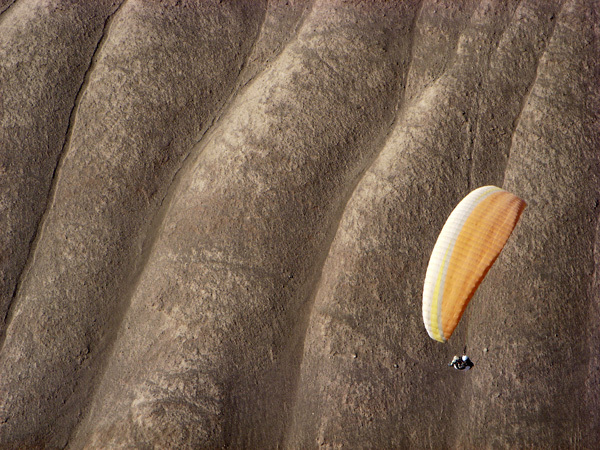 Take-off is a huge white sand dune, accessed by climbing on the mountain ridge. 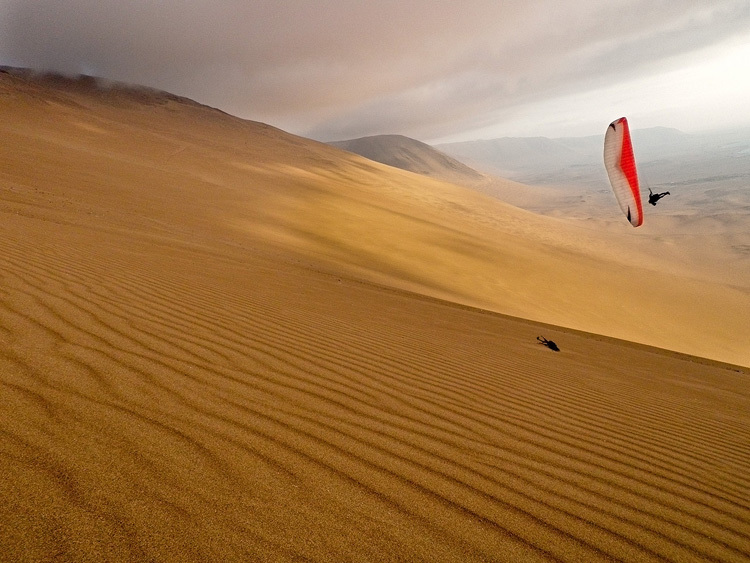 Flying from the launch toward Iquique will take you through dry river canyons, perfectly shaped sand slopes, and rocky promontories jutting into the sea. 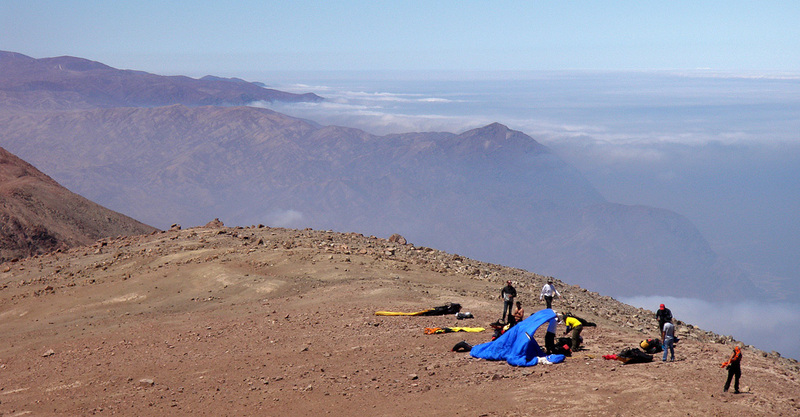 If you climb high enough above ridge tops you will be rewarded with seemingly endless views over the Atacama Desert. Cross country site pioneered by us a few years ago. It offers spectacular views across the desert coast. This site slowly gains popularity between visiting pilots as they learn its potential. It is located high on a cliff and offers an early XC start comparing to the Chipana dune bellow. 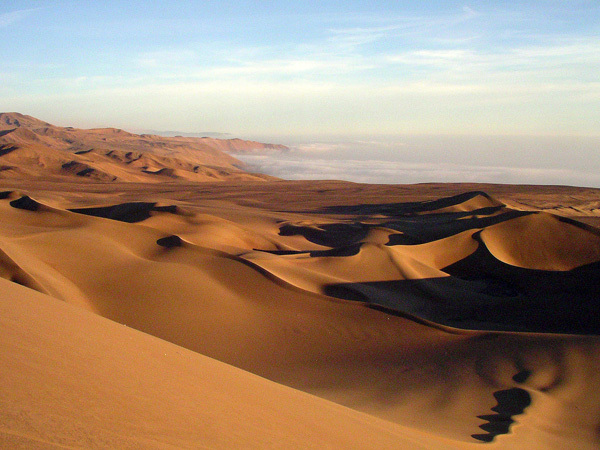 A popular cross country site located about 35 miles south of Iquique. 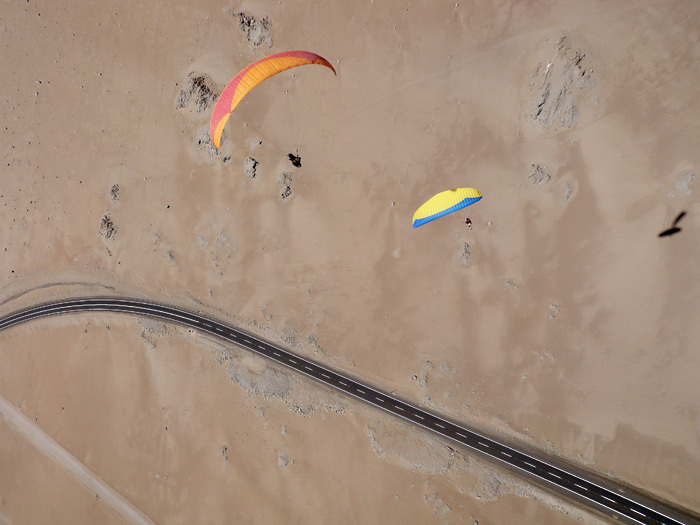 From the launch site, you fly toward Iquique over magnificent desert landscapes, following the coastal range and passing right by the airport. 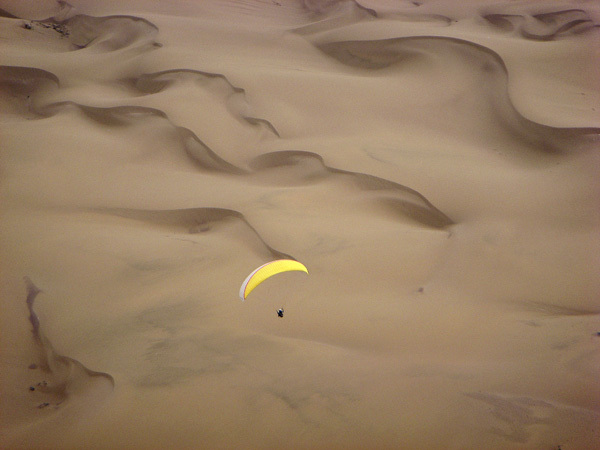 During the tour, pilots of all levels will be able to boost their skills from practicing kiting and launches at the dunes of Palo Buque, advancing thermaling techniques, fine tuning top and side hill landings to cross country and competition flying. Iquique flying sites are a perfect place for fresh pilots to practice while at the same time more advanced pilots will have a chance to log lots of miles by flying cross country. 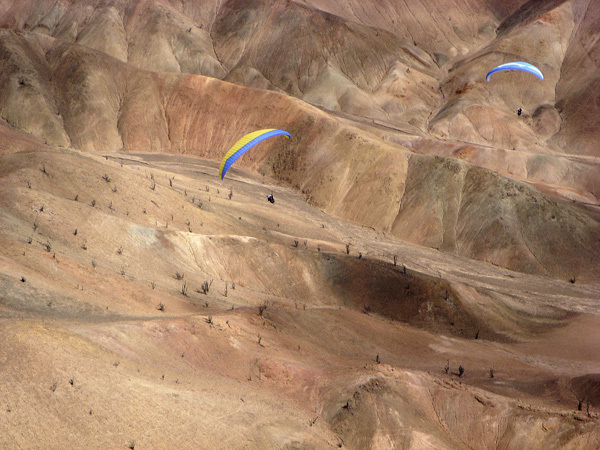 It is not uncommon to stay airborne for five or more hours flying XC along the coastal range. Pilots of all experience levels will likely achieve a personal best. A typical flying day will start in the morning with weather review and a briefing. If we decide to stay that day in Iquique's immediate area we will head to Alto Hospicio launch. We will never leave you alone on a launch. One of our guides always launches last. Prior to flying we will always visit LZs and discus landing approaches, the take-off techniques, and available flying routes. You being informed and safe is our priority. After the first flight of the day with landing on a beach we will have a lunch of seafood and then we will continue to Palo Buque for an afternoon and sunset dune flying and kiting session. If we decide in the morning to head farther away from Iquique, either North toward Junin and Tiliviche sites or South toward XC sites, we will spend the whole day flying these more remote sites and we will return to the town in time for dinner. This schedule will allow you to fly five plus hours per day. If you are not accustomed to that much air time, please take it slower and get lots of rest at night. Remember that in Iquique you can fly until you have had enough. It is possible to fly the whole day every day of the tour! On arrival to Iquique each participant will receive an informational packet with flying locations description and practical information. 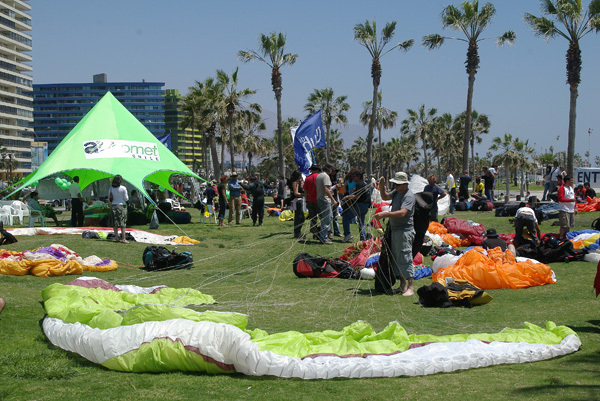 During the tour, instructions for novice pilots will be focused on high wind kiting and launching, top landings, side hill landings, and precision spot landings. Intermediate pilots will be coached in thermaling skills in ever-present Iquique thermals and guided in their first cross country flights. Advanced pilots will get in-flight guiding on their long XC flights and (if desired) instructions in competition flying. 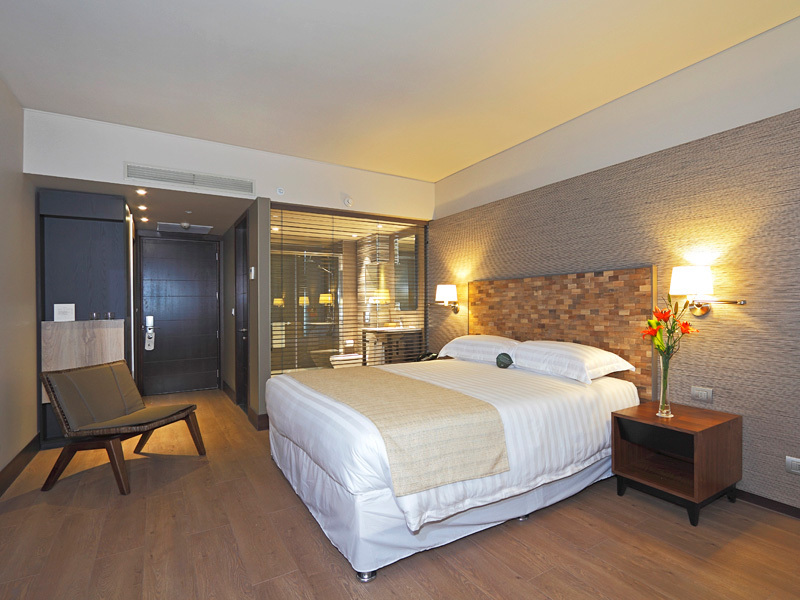 For our participants we have chosen a brand new four star upscale beach-front Terrado Cavancha hotel (see the photos above). The hotel opened its doors in 2015. Pilots will stay in large rooms with big windows. The hotel is located on Playa Cavancha beach. Yes, you will get your own double room with either ocean or mountain view and your own bathroom. 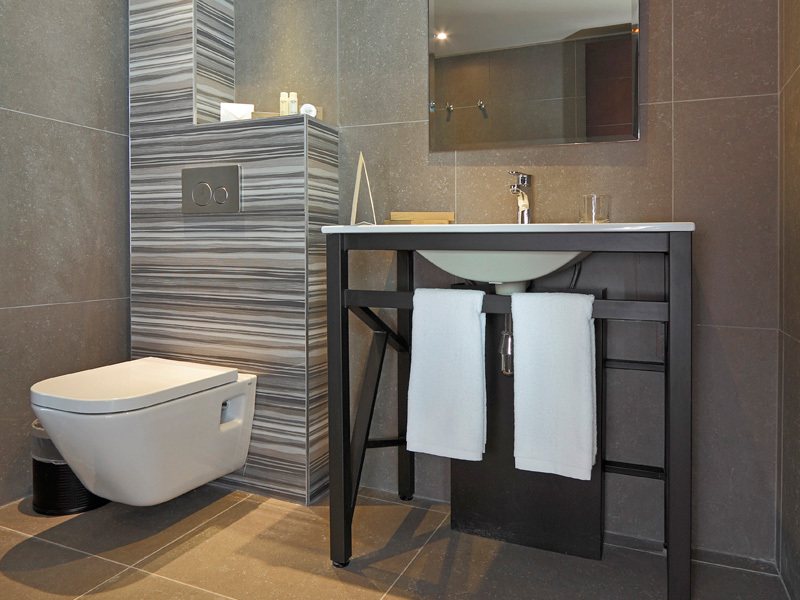 The rooms have complimentary wireless internet. The hotel has a gourmet rooftop restaurant and a bar plus a gym and a swimming-pool at the top floor. Every morning there is served an all-you-can-eat hearty buffet breakfast with local specialties. And above all the two main beach LZs are in front of the building, just 300 yards away. You can walk right to your room after landing for a traditional Chilean siesta nap between your morning and afternoon flights. 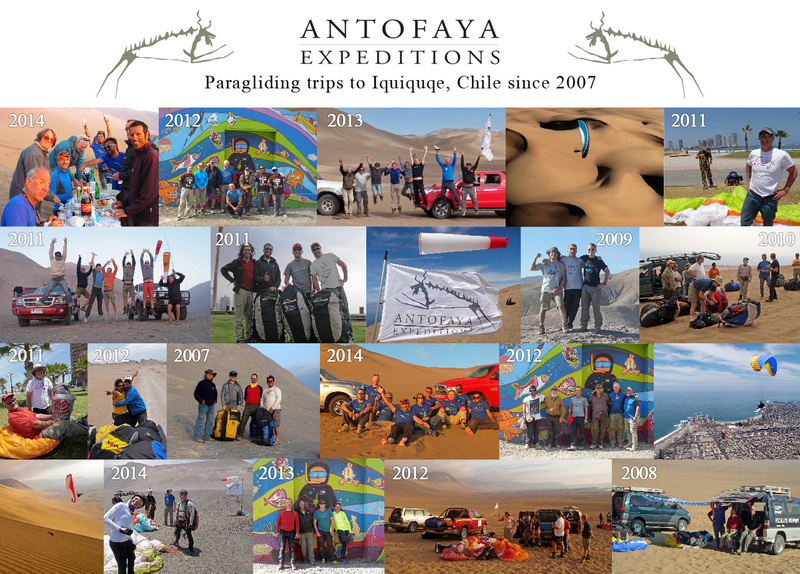 Antofaya Expeditions have years of experience in organizing paragliding trips and wilderness expeditions. We strive to be the best in the business. 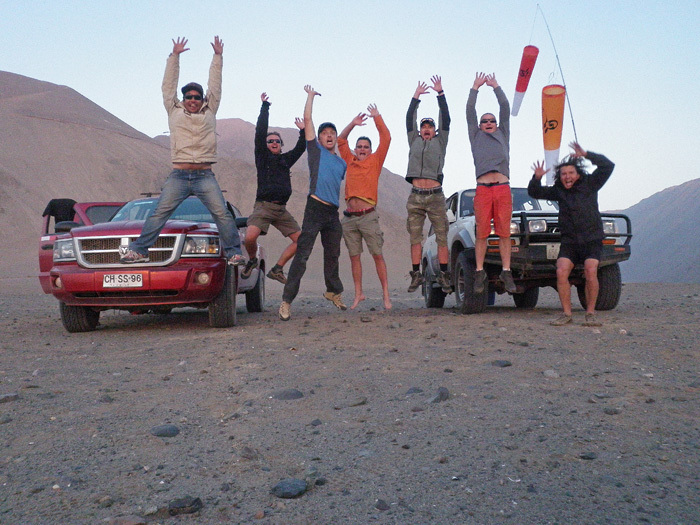 We were chosen by BBC - Top Gear as the Atacama Desert specialists. 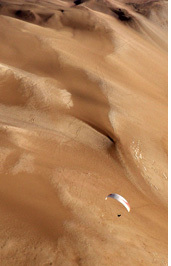 Austrian Thermik paragliding magazine recommends us as Iquique paragliding tour provider. We have hosted pilots from USA, UK, Canada, Australia, Switzerland, France, Belgium, Holand, Brazil, Poland, Austria, Peru, Virgin Islands, and Argentina. Our fluent multilingual guides will make your flying vacation totally stress free by taking care of all the practicalities from the moment we pick you up at the Iquique airport to the moment we drop you off there at the end of the tour. 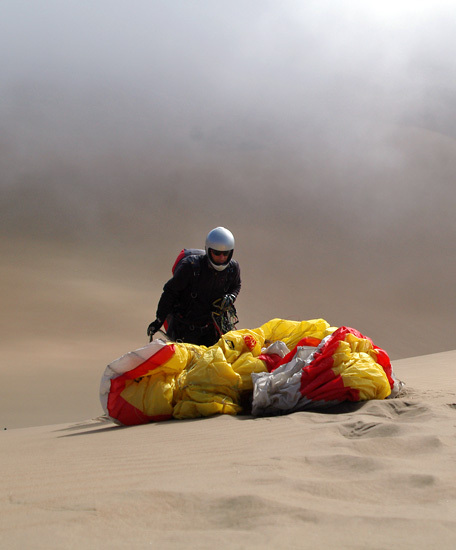 We want you to fully enjoy your paragliding vacations whether it is staying in our modern and comfortable accommodation or traveling to take-offs in our top-of-the-line desert ready 4x4 vehicles. To provide the best possible service we limit the number participants. Therefore it is essential to reserve your spot at this adventure early. Additionally there is a significant discount for those who reserve their spot early. The day between Tour One and Tour Two (30th of October) is a travel day for participants coming for one tour only. For participants coming for two whole tours (23 October- 6 November) it is a flying day, too! If you need special arrangements for your arrival and stay please do not hesitate to contact us and we will make sure all your needs are met. The airplane tickets are not included in the price of the tour. We will gladly assist you if you need help with booking of your plane ticket. Chile is the most economically stable country in South America due to the thriving copper industry. Visitors will find that Chile is a comfortable and convenient country for travel with good public transportation, amiable and helpful police force, and full tourist services. 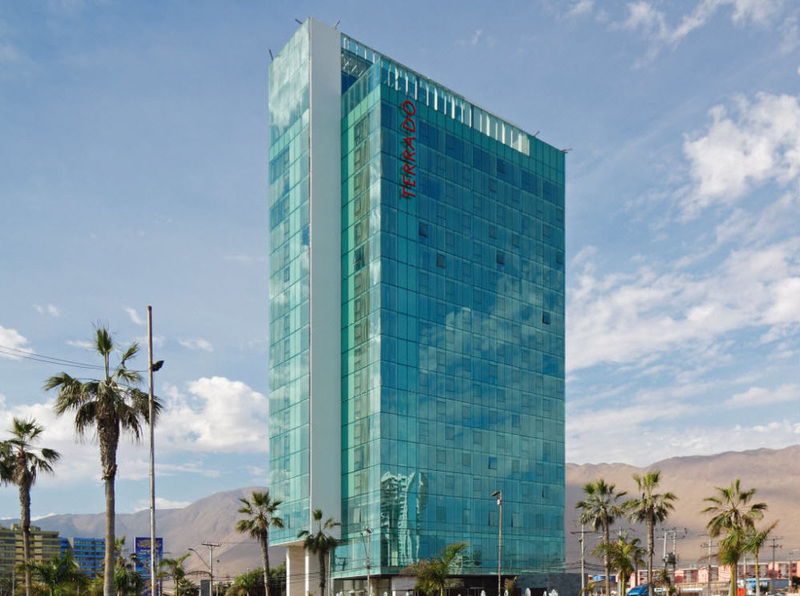 All modern conveniences expected from a small city can be found in Iquique, including fully-equipped grocery stores, two shopping malls (including a duty-free mall), a cinema, bus and taxi, laundry services, coffee shops, and restaurants. 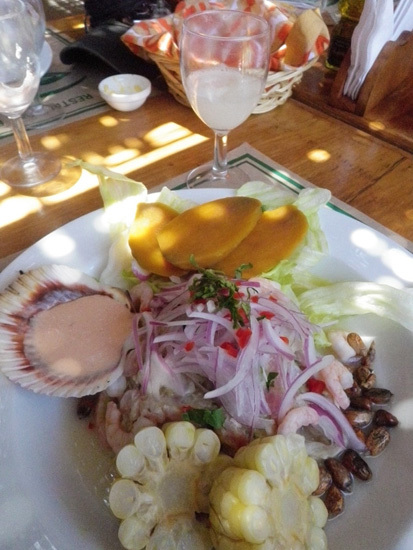 Iquique and surrounding coastal villages offer fresh lengendary Chilean fish and seafood at very affordable prices. 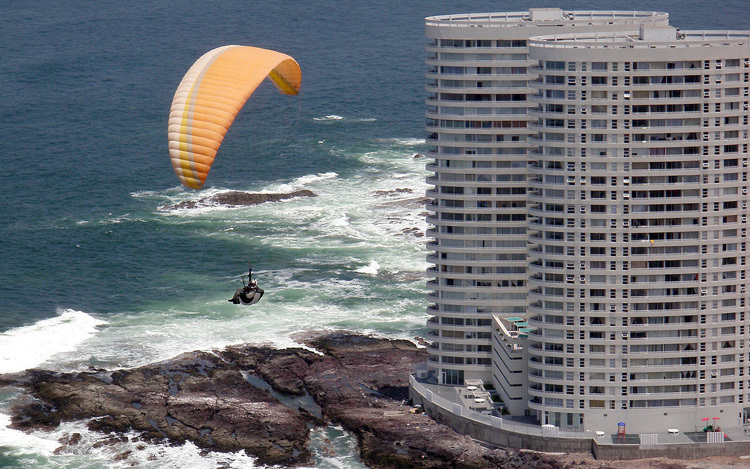 Residents of Iquique are accustomed to seeing pilots around town and bus or taxi drivers will happily accomodate your paraglider should you need a lift anywhere around town. The city has an interesting history as a former internationally important port for saltpeter used in agriculture all over the world. 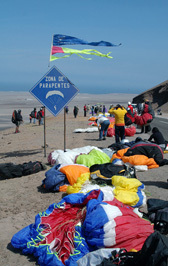 For 2015, in addition to the paragliding tour, we would like to offer the option of a five-day adventure to the Altiplano region to the northeast of Iquique for those with the time and inclination to see a bit more of the natural and cultural richness of northern Chile after both weeks of the tour have ended. This high-altitude region features towering volcanoes, remote lagunas filled with flamingos and other native birds, hot springs and small traditional Andean villages with beautiful ancient adobe churches. See our trip description here for more information and photos. 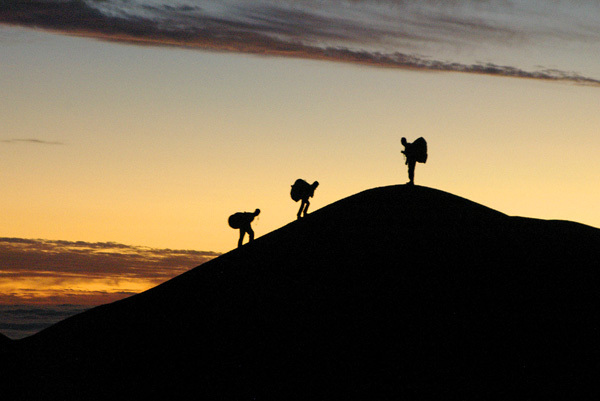 This is an overland expedition for sight-seeing and photography with a bit of trekking. You can leave your wings in Iquique as we will be making a loop. Please note that though we have allotted sufficient time for acclimatization, anyone with previous problems with altitude sickness should let us know before embarking on this trip. Heights of more than 15,000ft (4,500 meters) will be reached and sustained during the trip. Otherwise no physical requirements are necessary. We will adjust the level of activity to the abilities and desires of the group.